LA County Public Works has been actively planning for a more sustainable Devil’s Gate Reservoir. To share these plans with the community, we will host a series of informational meetings designed to provide details on the sediment removal activities to restore and maintain flood control capacity and the habitat enhancement program that will create and preserve native habitat within and around the reservoir. Please plan to join us at one of these three locations to learn more about this important project. Click here for the save the date flyer. Wednesday, July 13, 2016 @ 6:30 p.m.
Altadena 91001 Thursday, July 14, 2016 @ 6:30 p.m.
Pasadena 91103 Saturday, July 16, 2016 @ 2:00 p.m.
A new website that will provide additional information about the project is under construction and will be launched soon. Join local chambers of commerce and business organizations at L.A.’s Largest Mixer and discover new business service providers from over 150 exhibitors. Discover new ways to grow and improve your business, connect with potential customers, gain new leads and referrals. Enjoy samples from local restaurants and caterers. The general public and the entire business community are welcome. Mix and mingle at the ultimate business networking event. LA Mixer is part social mixer and part business expo. The mixer provides the opportunity for businesses to gain new relationships, build business leads and obtain a better knowledge of the number of business networking groups in L.A. This unique event helps individuals network and spread the word on their services and products. Connecting businesses with other businesses and other like minded organizations. No need to pre-register. Tickets are $20 and available online or at the door on the day of the event. Check or credit cards will not be accepted at the door. TIP: Business casual attire is recommended, and wear comfortable shoes because the exhibit halls are large. The Dave Linden Group, Inc. The Altadena Library District celebrates the Grand Opening of its new Water Conservation Demonstration Garden on Saturday, July 9 at 10 am at the Altadena Library. Supervisor Mike Antonovich will be in attendance as well as the Altadena Library District Staff and Board and community members. The garden includes such features as a Swale [a trench that follows the contour of the landscape to capture water and alleviate runoff], a Hugelkultur [a passive water collection technique with stacked logs covered in soil], and an Infiltration Pond [to collect water and allow for water percolation]. Visitors can learn about these techniques, along with many others, including drought tolerant plant selection, that can be used in home landscaping projects. Pasadena Heritage’s Colorado Street Bridge Party on July 16th! There will be beverages served by San Antonio Winery, Craftsman Brewing Company and Eagle Rock Brewery along with specialty cocktails, soda pop, and water. Pasadena Heritage cordially invites you to Pasadena’s biggest and best block party on our world-famous historic bridge – a night of music, dancing, vintage cars, children’s activities, beverages and food and more! Tickets on sale now. Discount prices are offered prior to the day of the event. If you need assistance with the online process or have any questions please call 626-441-6333.More information on vendors and entertainment will be added in the coming weeks! A variety of free activities and entertainment will be offered from 6:00 to 9:00 PM in the Defenders Park, featuring balloons, face painting, cookie decorating, drum circles, Rock Theatre, and more. Enjoy live music on three stages and a silent disco! The featured music ranges from rock to americana music. Information on free and paid parking and transit options. Sad to report, but believe the right decision was made in the best interest of all participants. Thank to the organizers and volunteers who all in many hours working to build this event. We hope that a new date will be announced in the coming weeks. The participating cities of South Pasadena, Arcadia, Monrovia, Duarte, Azusa, San Marino, Irwindale, County of Los Angeles, Metro, Bike San Gabriel Valley and event organizers would like to inform the public at this time that the 18+ mile open streets event and all associated activities scheduled for June 26th 2016 will no longer be held this Sunday. The event is being postponed; a future date is not available at this time. Event organizers would like to extend a heartfelt Thank You to all those who worked so hard to make 626 Golden Streets a reality on 6/26 Day, especially event sponsors: Metro Los Angeles, MSRC, SoCalGas, Kaiser Permanente, KPCC, the Foothill Gold Line Construction Authority and many others. We would also like to thank the dozens of city staff, safety officials, artists, vendors and others who have invested time and energy into creating a truly special event for the San Gabriel Valley. We thank you for your commitment and continued support! 626 Golden Streets will be back. Until then, we encourage you to walk, bike, and explore our beautiful region by Metro. And stay tuned for updates at: www.626goldenstreets.com and @bikeSGV. 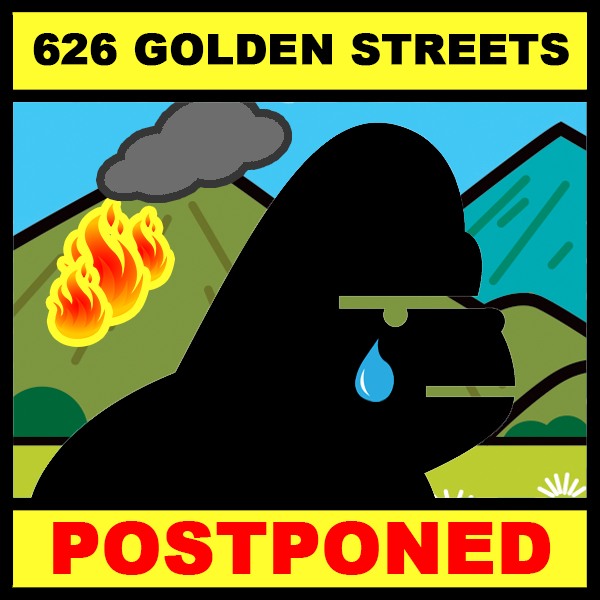 626 Golden Streets has been postponed due to the San Gabriel Complex fire. Please stay tuned for updates. Make plans now to join us for our Annual Picnic! There’s always tons of fun and food – along with great folks – at this popular event! It’s part old-fashioned county fair meets urban community party, and you can be sure that in addition to amazing BBQ, raffles, and resource booths, there’ll be politicians and local dignitaries on site, pressing the flesh. Once again, tickets are just $10 per person aged 5 and up. Kids under 5 are free – so plan to bring the entire family! To buy tickets, simply click on the image below to go to our Eventbrite page, and get all you need! Note: Eventbrite adds a small service charge to each ticket price, which you won’t pay at the door. Come spend an afternoon under the big tent in Altadena and enjoy a festive meal of great BBQ, fresh local veggies, great music, local dignitaries, Garden tours, and a resource fair as the Altadena Community Garden once again holds its annual picnic. Oh, and don’t forget the raffle! It’s a great time in the Garden, as we give thanks to the community and celebrate another year with our friends and neighbors! World’s largest online collaborative hardware development community expands with physical location in the heart of Pasadena. 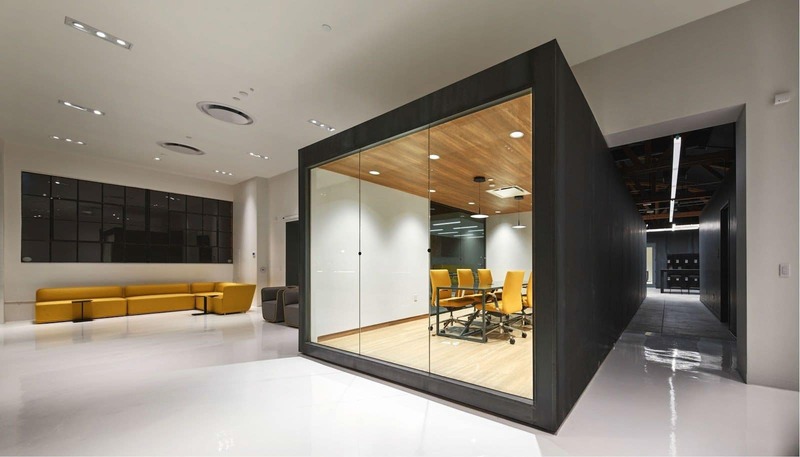 PASADENA, Calif.­­Supplyframe, the Industry Network for electronics hardware design and manufacturing today announced the launch of the Supplyframe Design Lab. Located in Pasadena, Calif., the Design Lab’s mission is to bring together inventors and entrepreneurs, to explore the future of how hardware projects are designed, built and brought to market. The Design Lab is Supplyframe’s physical representation of one of the world’s largest online engineering communities, with more than 6 million people using the company’s electronic component discovery, supply chain management and project collaboration platforms. With a 4,900­square­foot research and development studio packed with professional­grade tools to facilitate collaboration in product design, manufacturing, art and technology, the Supplyframe Design Lab represents a perfect location for hardware innovation, entrepreneurial thinking, tinkering, education and thought leadership. An open house launch party takes place today (June 23) at the Supplyframe Design Lab, 30 East Del Mar Blvd. in Pasadena. In the coming period, Supplyframe Design Lab’s Resident Engineer Dan Hienzsch, will welcome residents for 3­month­long funded residencies. The Design Lab seeks product design or prototype project proposals from the worldwide community of engineers, hardware startups, designers and builders for its first round of residencies, which begin July 1st, 2016. Residencies fall into one of two tracks. Designers in the product track will be supported in mentorship and sponsorship to build physical products in VR, assistive technology, wearable computing, home automation, artificial intelligence, medical devices etc. Artists in the art­tech track will receive mentorship and funding to build ambitious projects, electronic objects and interfaces, holography and interactive installations. Dan Hienzsch, Design Lab’s Resident Engineer, and other mentors, including Hackaday’s Sophi Kravitz, will advise Design Lab residents as they work toward making their proposals a reality. Brainstorming and collaboration among residents is encouraged. Design residents and members of the local design/tech community will also have opportunities to meet and share ideas with remarkable designers and engineers during workshops, meetups and tech talks. About Supplyframe: Supplyframe is the Industry Network for electronics design and manufacturing. We provide open and connected access to the world’s largest collection of vertical search engines, supply chain tools and online communities. At the foundation is a powerful dataset that allows us to draw critical insights to optimize the Supplyframe experience. The result? Networked innovation with unmatched speed and efficiency that is powering the creation of the next big thing. Our industry leading brands include: Parts.io, Findchips, OEMsTrade, Hackaday.com, Tindie, Hackaday.io, EEFocus, QuoteFX, Polydyne, SupplyFX. Cory Grosser + Associates is a globally successful, boutique design studio based in Pasadena California. Led by American designer Cory Grosser, the studio specializes in leveraging beautiful design to create emotional connections between clients and their customers. This approach is called “Creative Intelligence” whereby design is the force behind creative strategies for business and engaging narratives for people. The studio’s work lies at the intersection of commerce and culture and includes; architectural design, furniture design, brand strategy, and creative direction. Although small and highly focused, the studio has helped some of the world’s largest and most prestigious brands use design to succeed in the modern global marketplace. Selected clients include: Bentley, Bernhardt Design, Disney, Ford, Hyundai, Samsonite, Steelcase, Supplyframe and Universal Studios. At this time, nearly $5m worth of eligible ticket vouchers have been redeemed and the first wave of eligible events has been closed. Given the overwhelming interest, Ticketmaster is adding another $5m worth of eligible tickets so more class members can redeem ticket vouchers. Please check back tomorrow for additional information. In 2003, the Schlesinger v. Ticketmaster class action lawsuit was filed alleging that Ticketmaster failed to fully disclose to consumers all aspects of its UPS and Order Processing Fees. While vigorously defending the lawsuit, Ticketmaster settled the case in 2013, with the court granting final approval of the settlement in February 2015. The settlement class includes all consumers who transacted on Ticketmaster.com from 1999-2013. Ticketmaster agreed to provide all members of the class a $2.25 credit on the future purchase of primary tickets for each transaction over the class period, for up to 17 claims. In addition, a $5 UPS voucher was made available to members of the class who had used UPS delivery during the class period, again to a maximum of 17 claims. Also Ticketmaster agreed to provide $5 million in ticket vouchers for select Live Nation concerts through May 2017, subject to availability and a cap of 17 claims per account. Given the tremendous initial interest for these tickets, Ticketmaster will increase to $10 million its allotment of tickets made available through May 2017. The potential for additional tickets will be based on the redemption rates of the discount and UPS vouchers. This website displays the list of eligible events for which the settlement ticket vouchers may be used. Please note that the list of eligible events will be periodically updated. Once ticket codes are made available to you in your Ticketmaster account (https://www.ticketmaster.com/member/vouchers), you may attempt to use the codes for redemption on this website. The ticket codes are available on a first come, first serve basis. Select an event from the list of eligible events displayed on this website and proceed through the purchase process. Note that codes for ticket vouchers can be used on eligible general admission tickets. On the Billing Page, during your transaction, look for a “Voucher Code” link and enter your code to receive your discount(s). For a list of guidelines regarding using your settlement ticket vouchers, please visit the official Settlement Website, https://www.ticketfeelitigation.com/faq#Q18. If you have lost or misplaced your Ticketmaster login name and/or password, please use the “Forgot password?” link to reset your password from https://www.ticketmaster.com/member/. Orange County OC Chef Daniel Godinez Opening Modern Mexican Restaurant in Pasadena, located in the previous space occupied by Azeen’s Afghani Restaurant. Daniel Godinez studied at the Instituto Mexico de Artes Culinarias and moved to the United States 15 years ago. He previously worked at Stonehill Tavern in Dana Point before opening Anepalco’s in 2008. He prides himself on making food from his native Mexico with a twist to make it different from other Mexican restaurants. Later this year, he will open El Mercado – focusing on regional Mexican cuisine – in downtown Santa Ana. For your protection and the safety of your data, we have reset the password on your account. To access your account, you must choose a new, secure password. This action is being taken proactively and at this time there is no evidence to indicate that your account or data have been compromised. Your backups are safe and your regular backup schedule will continue. As part of our ongoing security monitoring, we recently became aware of unauthorized attempts to access a number of Carbonite accounts. This activity appears to be the result of a third party attacker using compromised email addresses and passwords obtained from other companies that were previously attacked. The attackers then tried to use the stolen information to access Carbonite accounts. Based on our security reviews, there is no evidence to suggest that Carbonite has been hacked or compromised. While we will continue to monitor and investigate the matter, we have determined that some usernames and passwords are involved. Additionally, for some accounts, other personal information may have been exposed. To ensure the protection of all our customers and the safety of their data, we are requiring all Carbonite customers to reset their login information. Our Customer Care team is standing by to assist anyone who needs additional help. This activity in no way affects existing or scheduled backups. Files are still being safely backed up. In addition to our existing monitoring practices, we will be rolling out additional security measures to protect your account, including increased security review and two-factor authentication [which we strongly encourage you to use]. Use the link above to reset your password. We highly recommend using “strong” unique passwords for Carbonite and all online accounts. Learn more about strong passwords at www.carbonite.com/safety. If you use the same or similar passwords on other online services, we recommend that you set new passwords on those accounts as well. For more information please contact Customer Care at https://support.carbonite.com/. There are reports of black outs, perhaps related to the heat, but could be the fires burning in the San Gabriel Foothill communities of Azusa and Duarte. Pasadena Union Restaurant closing for maintenance. Union staff will transitioning over to Knead & Co. at Grand Central Market. Reopening is expected sometime in July. We will post an update when we get closed to the re-opening. We hope more seating will be added. Union will be temporarily closed for maintenance starting Monday, June 20th with hopes of reopening the first week of July. Once construction starts, we will be able to confirm a date to reopen. Please stay tuned! In the meantime, if you’re craving a dish of Porcini Lasagnette or lookin’ to try your first bowl of “Sunday Gravy” head on down to Knead & Co. pasta bar + market in DTLA at Grand Central Market. Team Union will be cooking up a storm down there for the next couple of weeks! We apologize in advance for any inconvenience this may cause our loyal customers. Please be sure to visit our website and social media platforms for updates as they come. A 50-seat restaurant & bar featuring a deeply personal, seasonally Californian interpretation of Northern Italian cuisine, bringing farmer and guest together. The Discount Codes are subject to the conditions set forth in the Settlement Agreement and Release found on https://www.ticketfeelitigation.com/court. The UPS Discount Codes are subject to the conditions set forth in the Settlement Agreement and Release found on https://www.ticketfeelitigation.com/court. Each Class Member who made a purchase transaction on www.ticketmaster.com between October 21, 1999 and February 27, 2013, should anticipate receiving, on or around June 18, 2016, at least one Ticket Code potentially redeemable for two tickets for concert events at Live Nation owned or operated venues, subject to availability and limitations (described generally below and in more detail in the Settlement Agreement and Release). Individual Class Members will receive one Ticket Code for each purchase transaction during the Class Period, up to a maximum of 17 Ticket Codes. Once available, you may redeem your Ticket Codes on eligible transactions at www.ticketmaster.com. A dedicated website located at https://concerts.livenation.com/microsite/settlement has been established so you can readily see events, once they are identified, where Ticket Codes may be used. Please note the following regarding using any Ticket Codes you are eligible to receive. Each Ticket Code may be redeemed for General Admission seating at designated concert events at Live Nation owned or operated venues as defined on the dedicated website located at: https://concerts.livenation.com/microsite/settlement. A list of events for which the Ticket Codes may presently be redeemed (provided you do so before they have been secured by others) is available at https://concerts.livenation.com/microsite/settlement. To receive periodic notifications by email when new events for which Ticket Codes may be used are available, subscribe here: https://secure.gcginc.com/tkm/SubscriptionSignup.aspx. Please note that notifications regarding new events are not instantaneous. New events where Ticket Codes may be used will be added to the dedicated website frequently, but notification emails will be sent to subscribers only periodically. Ticket Code holders who are interested in attending popular events are encouraged to check the dedicated website frequently for new event listings. If you have any questions, please contact the Settlement Administrator at [email protected]. Please retain this email for your records. Welcome to the Schlesinger v. Ticketmaster Dedicated Ticket Information Site. You may have recently received an email regarding the Schlesinger v. Ticketmaster Class Action Settlement because you are a Class Member who may be entitled to Ticket Codes as part of the Settlement. Once Ticket Codes are made available to you in your Ticketmaster account, you may attempt to use your Ticket Codes to claim “free tickets” identified as available for redemption on this website. These “free tickets” are available on a first-come, first-served basis and may not be available for redemption if others have claimed them before you. Class Members who made purchase transactions on www.ticketmaster.com between October 21, 1999 and February 27, 2013, should anticipate receiving, on or around June 18, 2016, at least one Ticket Code redeemable for two tickets for General Admission seating at designated concert events at Live Nation owned or operated venues, subject to availability and limitations. For a list of guidelines regarding using your Ticket Code(s), please visit the official Settlement Website, https://www.ticketfeelitigation.com/faq#Q18. If you are interested in using your Ticket Code(s) towards the purchase of event tickets, first retrieve your ticket codes by logging on to https://www.ticketmaster.com/member/vouchers. Once you have your Ticket Code(s) ready, select an event from the list of eligible events displayed on this website and proceed through the purchase process. On the Billing Page during your transaction, look for a “Voucher Code” link and enter your Ticket Code to receive your discount(s). This website displays the list of eligible events for which Ticket Codes may be used. Please note that the list of eligible events will be periodically updated. To receive periodic notifications by email when new events become available, please sign up here to receive notice. Please note that by signing up for the subscription service you are merely receiving information about new events periodically. You are not signing up to receive tickets and you are not guaranteeing yourself any ticket to any event. Sunday, June 19, 2016 at 10:00 a.m. – 3:00 p.m.
Day of event arrival time: Gates will open to show vehicles at 8:00am. First come first serve. Enter off of south Euclid Ave. Directions– From I-210: 1. Take Marengo Ave exit. 2. Turn south on Marengo Ave. to Cordova St. 3. Turn left (east) on Cordova St, one block to Euclid Ave 4. Turn north (left) on Euclid Ave. and proceed to the entrance. From 110: 1. Exit 110 north, stay on Arroyo Parkway to Cordova St. 2. Turn right (East) on Cordova St to Euclid Ave. 3. Turn left (south) on Euclid Ave.
For More Information, Contact OFFICER CRADDOLPH . Taking the helm from Sheldon Epps, Danny Feldman will be taking over as Artistic and Executive Director of the Pasadena Playhouse. Epps announced his retirement this past January after 20 years. The Pasadena Playhouse has a budget of $6-8 million and a staff of 25 employees. The Pasadena Playhouse will celebrate 100 years centennial in 2017. PASADENA, Calif.—A wonderful afternoon of entertainment and fun activities for families is planned from noon to 4:30 p.m., Saturday, June 18, 2016 at the Jackie Robinson Community Center, 1020 N. Fair Oaks Ave., for the City’s Eighth Annual Juneteenth Festival. The event will showcase information about Jackie Robinson Community Center and the history of Juneteenth. Juneteenth is the oldest known celebration commemorating the end of slavery in the United States. Juneteenth observes the date Union soldiers enforced President Lincoln’s Emancipation Proclamation freeing all remaining slaves in Galveston, Texas, on June 19, 1865. Texas was the last state in rebellion following the formal end of the Civil War. Additional informational on Juneteenth, also sometimes referred to as Freedom Day, can be found at the Pasadena Public Library and many places online including https://www.pbs.org/wnet/african-americans-many-rivers-to-cross/history/what-is-juneteenth/ and https://www.juneteenth.com/history.htm. Children can participate in arts and crafts activities provided by the Amory center of the Arts. This year’s festivities will focus on promoting the Jackie Robinson Community Center, Neighborhood Connections, Northwest Programs and many programs and services offered. Entertainment will include, among others, Andre Ray of L.T.D; Bobby Wilkerson All Star Band; Rhythms of the Village Drum and Dance Circle; Roscoe Lee Owens and JazzZone and Country soul singer Petrella. Stay connected to the City of Pasadena! Visit us online at www.cityofpasadena.net; follow us on Twitter @PasadenaGov, www.twitter.com/pasadenagov, and Instagram @PasadenaGov, www.instagram.com/pasadenagov; like us on Facebook at www.facebook.com/cityofpasadena; and subscribe to our YouTube channel at www.youtube.com/pasadenagov. Or call the Citizen Service Center, 7:30 a.m. to 5 p.m., Monday through Friday at (626) 744-7311. The 7th annual Los Angeles Vegan Beer & Food Festival will be taking place at the Rose Bowl and feature the best of L.A.’s craft beer and vegan eats. VIP admission will get you early entry at 11am. General admission door time will be at 1pm. Upon entry you will receive your own Vegan Beer & Food Festival glass and enjoy unlimited pours from participating breweries, wineries, kombucha, cold brew and crat sodas on draft. We will feature 80+ breweries, 70+ food vendors, live music, and marketplace. This event is 21+. Please note that you cannot purchase beer at this event. It’s sampling only. Food sold separately. Find out more or apply to be a vendor. Coming to DTLA, every Sunday starting June 19th! Accepting vendor applications now on our website. 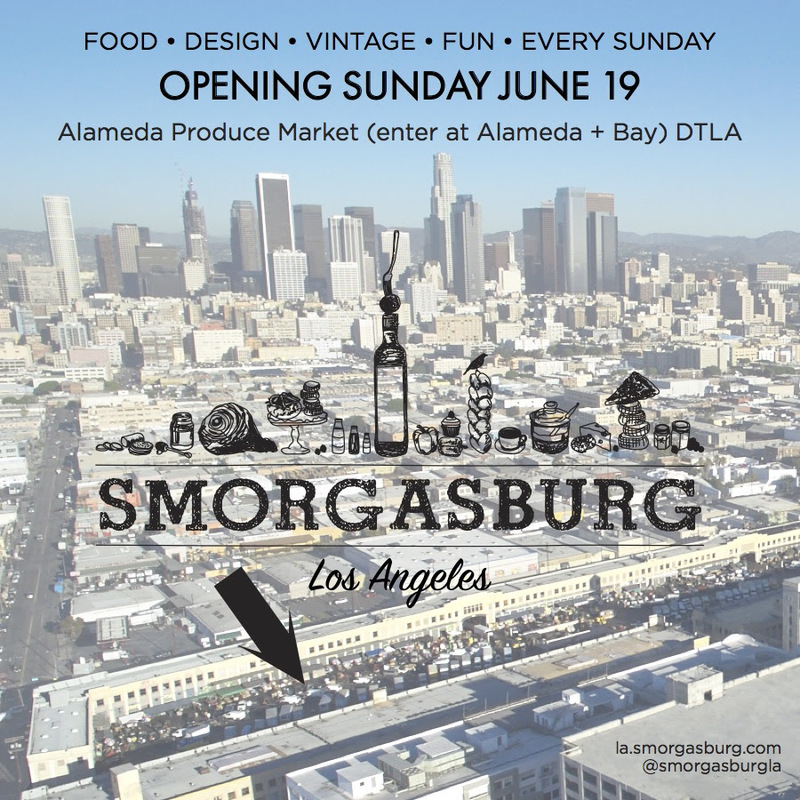 We are so excited to share Smorgasburg, our world-renowned Brooklyn market, with Los Angeles this Sunday! We’ll be open every Sunday year-round from 10am to 6pm with 75+ vendors. Our site is the giant Alameda Produce Market, part of the cool new ROW DTLA project. It’s always free to enter. We’ve eaten our way through tacos, pizza, bagels, poké, donuts, burritos and pad thai from street carts, restaurants, and totally new chefs to bring together the most exciting food vendors in Los Angeles for a weekly market open every Sunday. And food is just the beginning. Smorgasburg LA is actually even cooler than the Brooklyn markets, featuring almost two dozen curated vendors selling vintage clothes (out of funky vehicles), design, handmade, plants, and more in a section of the market devoted to the city’s top lifestyle vendors. If you want to make a day of it at the market, the MicheMobil, a michelada bar featuring beers poured from the side of a customized vintage VW bus, will join us each week, courtesy of our friends at Guelaguetza. Plus, Dublab is curating mixes and DJs for a fun Sunday vibe. We’ve made getting here easy, with an Uber drop-off point and a 4,000-car parking garage onsite. Visitors to the market get two hours of free parking. 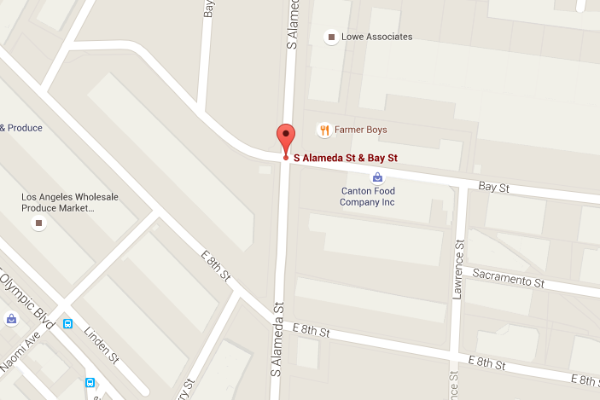 Use the map below for driving directions—enter at Alameda and Bay St. and follow signs to the garage. Our friends at UberEATS are giving you a taste of the new app with a free meal (up to $20 off) with the promo code SMORGASBURG20: ubr.to/ordereats. Hours 10am to 6pm. 2 hours free parking. And plenty more to come! 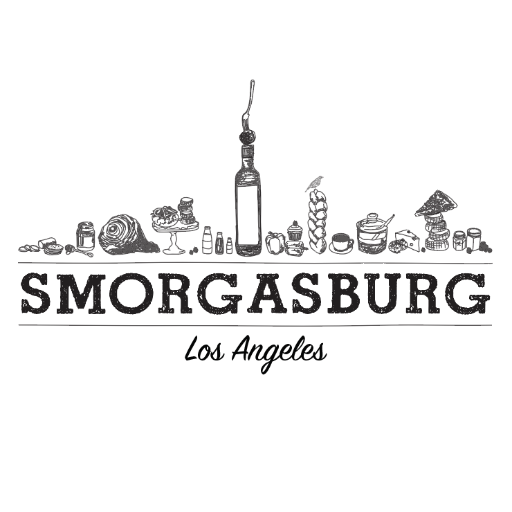 To apply to be a vendor at Smorgasburg LA, fill out the application here. The forecast calls for excessive heat on Monday June 20, 2016. High surf is also predicted. The heat will grip much of the Southwest, some areas could see highs between 115 and 120.